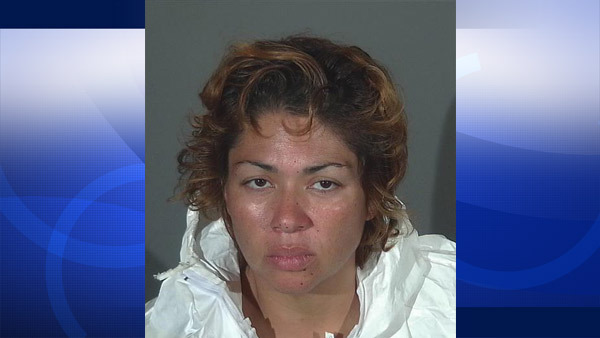 Athina Sumi Rivera, 43, is seen in this file photo released by the Covina Police Department on Monday, Sept. 7, 2015. COVINA, Calif. -- A 43-year-old woman allegedly stabbed her 61-year-old mother to death at a convalescent hospital in Covina, Calif. on Monday. Covina police responded to a call of a woman not breathing in an assisted living care facility in the 800 block of W. San Bernardino Road and found 61-year-old Margaret Machiko Yamaguchi on the floor of her room with numerous stab wounds. She was pronounced dead at the scene. Police said the victim's daughter, 43-year-old Athina Sumi Rivera, was spending the night in her mother's room and is a suspect in the crime. Rivera was taken into custody on murder charges, and she is scheduled to be arraigned at Citrus Superior Court on Wednesday. Her bail is set at over $1 million.